What day is it? Technically, you'd be correct if you answered "Thursday" or "July 14th," but in the smartphone realm? 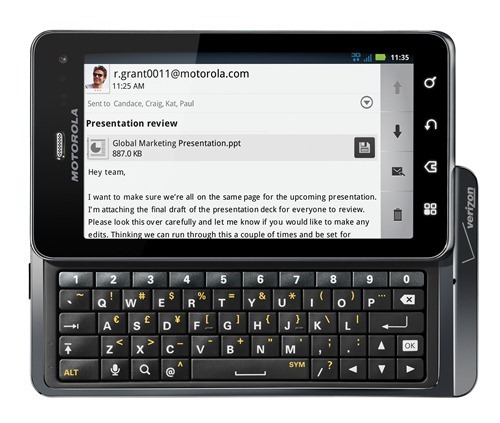 Why, today is the DROID 3's official release date, of course! Now, the phone has been available from VZW's website for just about a week now, but if you have an eye for deals, you'll have steered clear of that venue and instead held out hope that some third-party retailer would be able to offer the device for less than $199.99. And today that wish has become reality - Wirefly has put up a product page for the DROID 3, and assuming that you'll be picking it up with a new two-year contract, the handset can be yours for just $149.99. Actually, it gets better than that: the same price ($149.99) applies to those adding a line to their family plans or upgrading their existing Verizon phones. 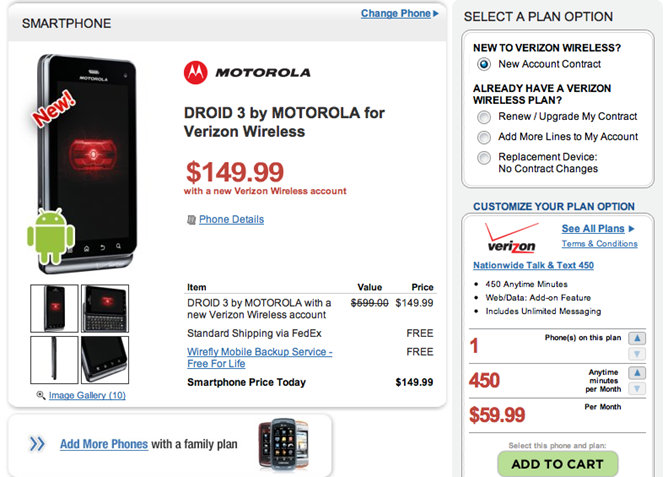 Off-contract, the DROID 3 costs $549.99 at Wirefly, which is rather disappointing considering that even VZW's online store lists $459.99 as the full retail price. Interested? Head on over to the source link if you want to pick up a DROID 3 for yourself.